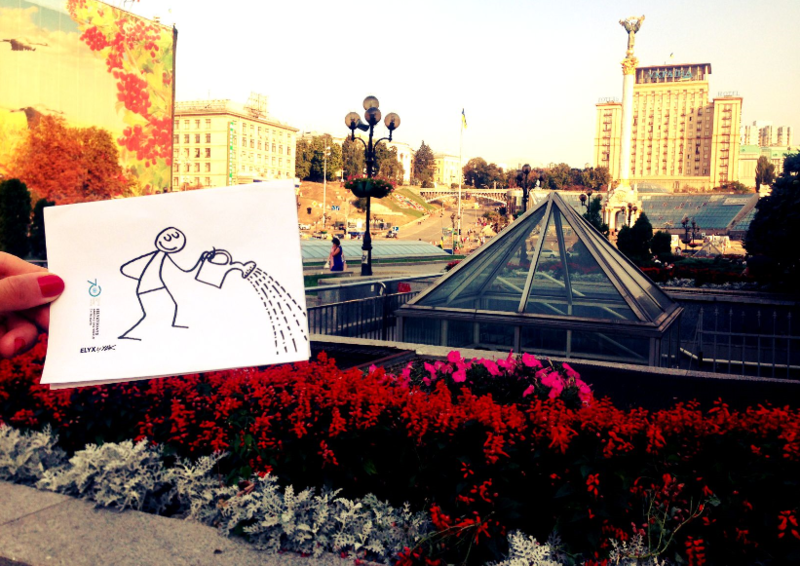 Today, Elyx had the opportunity to explore one of the oldest cities in Eastern Europe: Ukraine’s capital city Kiev. The United Nations Country Team (UNCT) welcomed Elyx early in the morning. While absorbing Ukraine’s countless cathedrals and monasteries, Elyx learned that Ukraine became independent in 1990. During its transition, the UN offered its uninterrupted assistance to create a collective vision and approach which aims to better meet the needs of the population, including the new and more demanding needs of an independent country. Another example of the UN’s commitment to Ukraine is the Partnership Framework (PF) from 2012 – 2016. This is a collective and integrated response by the United Nations to Ukraine’s national priorities. The PF period coincides with the last five-year period of the MDGs and Elyx was able to review the results of Ukraine’s approach to the MDGs. Elyx was happy to notice that every Development Goal made positive progress. The UNCT told the digital ambassador that for the fifth MDG, there was a Joint UN Programme of Support on AIDS for 2012-2016 (JPS). Within this framework, the UN is providing policy and technical advice, expertise and resources to establish, maintain, and sustain HIV prevention, treatment and care in order for the Government to reach MDG 5. The UN Ambassador was lucky enough to witness the signing of the new Memorandum on Cooperation, which will promote the prevention of HIV/AIDS in Ukraine. 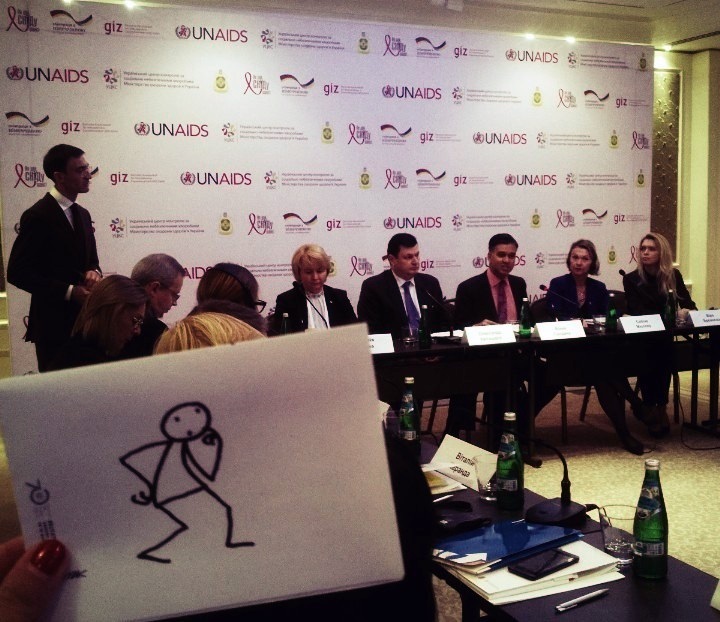 Elyx was very pleased to see that UNAIDS and the Ukrainian government will continue to work together to fight AIDS. 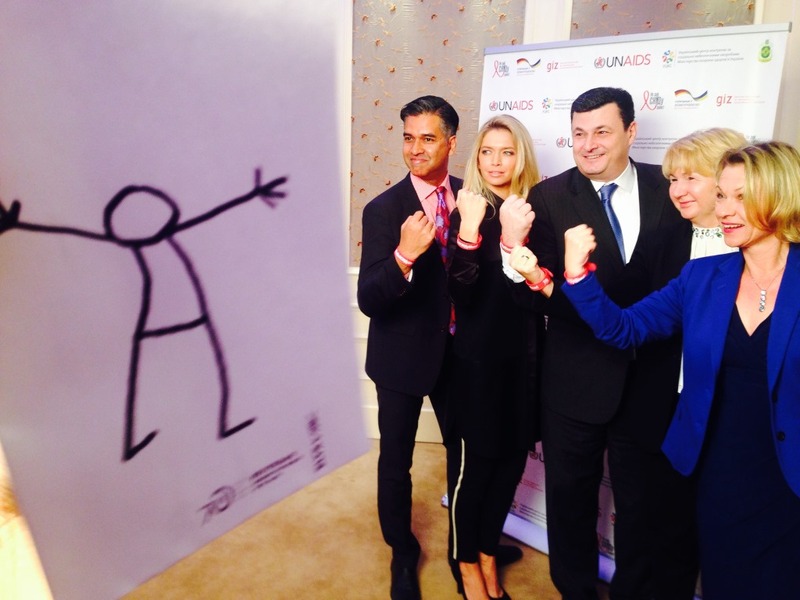 At the event, Elyx even got to meet one of its colleagues: UNAIDS Goodwill Ambassador Vera Brezhneva. Together with UNAIDS, she aims to address needs of the nearly 138,000 HIV positive people in Ukraine. 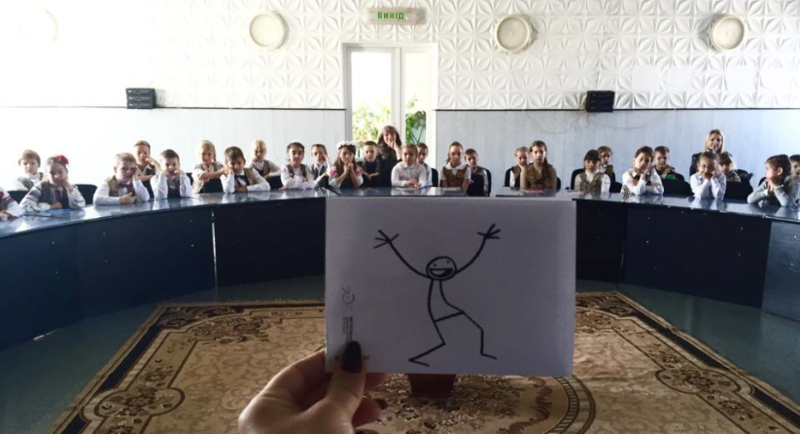 Afterwards, the UNCT took Elyx to the Kirovograd region, where Elyx attended an open lecture on the ZeroHunger initiative to take action on the reduction of poverty and hunger, with children at a local school. Since the outbreak of the conflict in eastern Ukraine, the children in this region have suffered from food and nutrition constraints. Since 2014 the World Food Programme (WFP) has helped ease the plight 220,000 people in the region by distributing food parcels and vouchers. Soon it is time for Elyx to move on again. 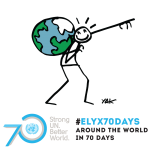 In the final week of its journey around the world, Elyx is even busier than usual, as the UN Digital Ambassador will be visiting multiple countries a day. Later today Elyx will visit Turkey!